Maulana Nezami Ganjavi, Shah Waliullah, Mirza Ghalib, Shibli Nomani and Allama Iqbal are just a few of those great Muslim writers whose reflections on the Miraj of the Holy Prophet (peace be upon him) may be regarded as original and substantial contributions on the subject. Here I want to discuss just one of them, Shibli Nomani. According to Shibli Nomani, the incident was much more than a facinating miracle. Shibli treats it as a precusor to the Migration of the Holy Prophet to Madina and the emergence of Islam as a state and a powerful nation. 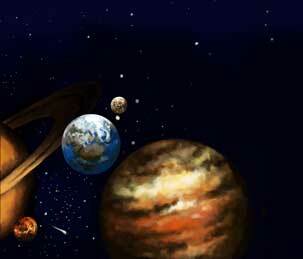 The incident of Miraj is mentioned at least twice in the Quran, most notably in the opening verses of the surahs Isra (Bani Israel) and Najam. Usually, commentators treat only the first few verses of Surah Isra as related to the Miraj but Shibli observes a thematic unity in the surah. He suggests that the opening lines about the night journey of the Prophet from Makkah to Jerusalem blend seemlessly into themes that are unmistakably related to the next phase of the Prophet's career, i.e. his life at Madinah. Throughout the Muslim history, the incident of Miraj has remained at the centre of the creative consciousness of the society. By observing a beautiful connection between the Prophet's visit to the heaven and the establishment of a state on earth, Shibli added a new chapter to the ongoing discourse on the subject, and we can see how particularly relevent and useful this new dimension could have been for those Muslim societies which were going to emerge as independent states within decades of Shibli's writing. Shibli made it possible for them to see the heavenly journey of the Prophet as an inspiration for building the new Muslim states! The incident of Miraj is discussed at great length in the Seeratun Nabi in the third volume, which was completed by Shibli's disciple Syed Sulaiman Nadvi and published in 1924. Listen to beautiful recitation of Surah Isra by Mishary Rashid, with English translation, and see if you agree with the thesis of Shibli Nomani. ‘Muhammad of Arabia ascended the highest Heaven and returned. I swear by God that if I had reached that point, I should never have returned.’ These are the words of a great Muslim saint, Abdul Quddus of Gangoh. In the whole range of Sufi literature it will be probably difficult to find words which, in a single sentence, disclose such an acute perception of the psychological difference between the prophetic and the mystic types of consciousness. The mystic does not wish to return from the repose of ‘unitary experience’; and even when he does return, as he must, his return does not mean much for mankind at large. The prophet’s return is creative. He returns to insert himself into the sweep of time with a view to control the forces of history, and thereby to create a fresh world of ideals. For the mystic the repose of ‘unitary experience’ is something final; for the prophet it is the awakening, within him, of world-shaking psychological forces, calculated to completely transform the human world. The desire to see his religious experience transformed into a living world-force is supreme in the prophet. 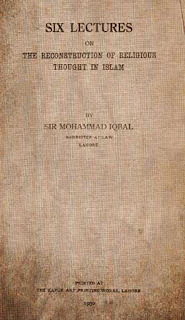 In his first book of poetry, Secrets and Mysteries (1915-1922), Iqbal differentiates between poets who celebrate optimism and beauty, and those who indulge in dead ideas and ugliness (this distinction is often forgotten in our times). The poets of the first kind lead their society to success and the second to doom. In the second work, The Message of the East (1923), he applies this poetics on the contemporary scene and shows that the literary ideals coming out of the West after the First World War (1914-1918) are unlikely to be healthy. Therefore, the future of the East, and perhaps of the world, depends on the ability of the poets of the East to attune themselves with the new impulses of life arising in Eastern societies. In the third work, The Call of the Marching Bell (1924), he traces his own poetical career to show how he gradually dissociated himself from the self-destructive movement of Western thought as well as the decadent trends of the East (which he suspects would find new sponsors in the West very soon). Saying goodbye to the decadence of both societies, he arrived at a new vision and became attuned to the rebirth of civilization that is now happening in the East (especially mentioned in ‘The Dawn of Islam’ – see Chapter 49 in A Novel of Reality). The fourth work, Persian Psalms (1927), includes a section exclusively dedicated to depiction of the art and religion of the slaves. The examples seem to highlight the new trends emerging in the West in the interwar years (1919-1938). It seems that they are being imported in to the East, including the Indian sub-continent, by the new intellectuals. Iqbal warns his readers against the dreadful impact of such trends (see Chapter 62 in A Novel of Reality). The fifth work, Javid Nama, illustrates the ultimate outreach of a poet of Iqbal’s school of thought: here, Rumi leads the poet on an odyssey across the spiritual universe. The journey culminates on a face to face meeting with God and a direct vision of the destiny of the human race unveiled before the eyes of the poet. Hence the analogy of Khizr becomes completed here – just like the legendary guide, Iqbal has now received knowledge from the Divine Presence and learnt the events of the future history of the nations (see Chapter 80 in A Novel of Reality). In the sixth work, Gabriel’s Wing (1935), he shows how the visionary artists weave a timeless tapestry even when hampered with the limitations of mediums and materials that are time-bound (see Chapter 86 in A Novel of Reality). In the seventh work, The Blow of Moses (1936), he declares a “war” against the present age. One of the five sections of the book is dedicated to art and literature. A careful reading of these poems in the light of the previous works of Iqbal depicts a rather disturbing scenario: the East, which reawakened not a long time ago, now faces a new threat from its own intellectuals who are blindly the West. These trends include the kind of poetry that was denounced in Secrets and Mysteries as responsible for the destruction of societies. The last two poetical works – What Should Now Be Done…? (1937) and The Gift of Hejaz (1938) – show how the poets and artists can work together with other segments in their societies for discovering a practical solution for their societies. In Persian literature, Sarosh is variously understood to be the “voice of conscience” and the angel of poetic inspiration. Hence Rumi is made to say in Javid Nama, “This silver portrait of beauty was born in God’s mind; he ranks with Gabriel and his name is Sarosh.” The entity is originally based on the Sraosha, a sacred figure in Zoroastrian mythology without any equivalent in the Vedic system (and hence he is seen by Iqbal after meeting Vishvamitra, the representative of Vedic wisdom). In Javid Nama, he is depicted with two long tresses reaching down to the small of his back from either side of his shoulder. This could be symbolic of the two hemispheres of brain, as he is shown to be engaged simultaneously in music and verbal arts (respectively assigned to the right and the left hemispheres of brain). Vishvamitra is at the center of many classical legends of Hinduism. Originally King Kaushika in ancient India, he is said to have renounced his kingdom in order to acquire spiritual powers. This involved several tests and prolonged meditations, during which he was often tempted by the celestial nymphs, apsaras – one of whom succeeded and begat a daughter, Shakuntala (who would grow up to become the heroine of an epic in her own right, and bear the son Bharat, after whom the land would be named). The king is said to have succeeded in becoming a brahmarishi – a sage of the highest order – and earning the title Vishvamitra (literally, a friend of everyone, in Sanskrit). Retaining his royal temperament, he would display unusual anger as well as compassion – on one occasion compelling another legendary king, Rajah Harishchandra, to give up kingdom, while on another occasion creating an entire new heaven to lodge someone who had been denied entry into Paradise. He was the mentor of the young Rama, the seventh incarnation of Vishnu according to the Hindu belief. He also received Gayatri, one of the most sacred mantras of the Vedas. 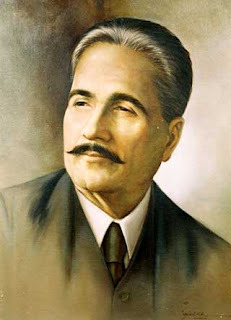 Iqbal adapted the mantra into an Urdu poem, ‘The Sun’, as early as 1902, and included it in The Call of the Marching Bell (1924). In Javid Nama (1932), Vishvamitra himself appears meditating in a cave on the Moon (caves have been a conventional preference for initiation rites, and hence the cave of Vishvamitra serves as the starting point for Iqbal’s celestial journey). "I saw a people who were turning away from life, so I decided to wake them up," said Hallaj. "They said they believed in God and yet they didn’t believe in themselves. How can you have faith in the Almighty without having faith in yourself?" In the fifth chapter of Javid Nama, Iqbal meets the spirit of Mansur Hallaj, the 10th Century mystic who was executed because he had said, "Ana al-Haque" (and did it mean "I am the Creative Truth" or that "I am God"?). Iqbal asks him what did he actually mean by that. The reply given by Hallaj has been quoted above. I like this reply for several reasons. For centuries, it has been customary to say that Hallaj reached a certain station in spiritual progress but he should have kept quite. This is a well-meaning argument in his defense but it also sounds as if we are wiser than Hallaj, and in a position to give him some sound advice! The lines which Iqbal has put into the mouth of Hallaj are ingenious. Instead of getting into any technical details of the issue, Hallaj simply says that he said what the society needed to hear at that time. It implies that he was not declaring "Ana al-Haque" because he lacked self-control, nor that he had reached some status which ordinary believers cannot attain. Quite the contrary. His "I" does not remain personal. He becomes one with the collective ego of humanity, or the soul of all human beings. From that point of view he is speaking on behalf of every human being - including the most ordinary human being. Hallaj has reached a state where he can see the angels bowing down befoe the human being, and he is reminding us that this human being is everyone of us. So we better act accordingly. Much before Iqbal, Maulana Jalaluddin Rumi had also attempted to defend Hallaj in an unusual manner. Rumi said that Hallaj was not arrogant and proud. He would have been guilty of arrogance if he had said, "I am not Haque", because that could have meant, "I exist in my own right independent of God." By saying "Ana al-Haque", he was rather admitting that he did not exist, only God does. Read the complete chapter from the abridged translation of Javid Nama (links to the original Persian text are also given on the page). The Fall does not mean any moral depravity; it is man's transition from simple consciousness to the first flash of self-consciousness, a kind of waking from the dream of nature with a throb of personal causality in one's own being. Nor does the Quran regard the earth as a torture-hall where an elementally wicked humanity is imprisoned for an original act of sin. Man's first act of disobedience was also his first act of free choice; and that is why, according to the Quranic narration, Adam's first transgression was forgiven. In the last post it was mentioned that there are five elements in the Islamic conception of God. 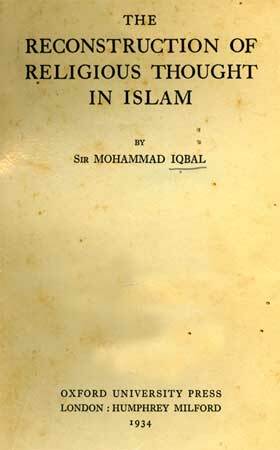 The concept is not Iqbal’s own (as he himself points out that it is “the Islamic conception of God”). One of the earliest and the greatest exponents of this thouht in Muslim poetry was Maulana Nezami Ganjavi (1141-1209), the Iranian poet who lived in Baku (present-day Azerbaijan). He influenced almost every significant poet who came after him – including Maulana Rumi, Ameer Khusro, Mirza Ghalib, Iqbal and many others. Nezami wrote five masnavis (long poems). Each of these aims at giving an aesthetic experience of a particular element in the conception of God. 1. The Treasury of Secrets (God is Eternal): In the first poem, Nezami summarizes the major points of Sufi wisdom, showing that only God is Eternal. Rather than encouraging the readers to renounce the world, he gives them a deeper insight into the worldly affairs and claims that his book contains “the resources for asceticism as well as kingship.” By realizing the Eternity of God in a healthy manner you come to rule the world rather than be ruled by it. 2. 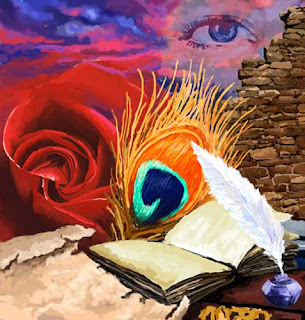 Shirin and Khsuro (God is Powerful): You must have heard about the love story of Shirin and Farhad, but you may not have known that it was Nezami Ganjavi who immortalized these characters through his second poem. The way Nezami has rendered this story in his poem, it becomes a parable about how the Power of God works in this world, how it overthrows empires and what do the human societies need to know about the Divine power in order to avoid destruction. 3. Layla Majnun (God is Knowing): This most famous love story of all times in the East was also brought to you by the same Nezami. However, in his version, Layla is the symbol of the collective soul of humanity and Majnun represents those who understand this. We rise above ordinary knowledge and begin to appreciate the Knowledge of God only when we sacrifice our individual ego for the sake of “the soul of all human beings”. This enables us to even develop an insight into the eventual destiny of the humankind (and Nezami’s Majnun is a symbol of such insight). Watch a video about Nezami’s Majnun from the mainstream Pakistani cinema: lyrics from the talented poet Saifuddin Saif try to convey the basic idea about mystic knowledge. 4. The Seven Beauties (God is Creative): Seven princesses, each living in a separate dome and reciting a different story, represent the seven stages through which all creation may pass in order to become real. Hence Nezami attempts to give us an insight into the Creativity of God. This poem has been less famous in the Indian subcontinent than the other poems of Nezami, but is one of the best-loved pieces in Iran, Central Asia, Turkey and Eastern Europe. 5. The Book of Alexander (God is the Infinite Ego): The last work of Nezami Ganjavi is one of the most ambitious undertakings in the history of world literature because here the poet weaves together the cultural icons from diverse cultures of the world: Plato, Aristotle and Alexander from the West; Zulqarnain and Khizr from the Quran; Darius and his dynasty from Iran; Vedantic sages from the Indian subcontinent; and many others beside. This is a vision of humanity as a single civilization where each individual and group retains their own identities while also realizing their relationship with the whole. Only through such magnanimous and grand vision can we begin to understand the Infinity of God. Should we know more about Nezami? God is Eternal: everything passes away; God alone is eternal and immortal. God is Powerful: God has absolute power over everything, and His power does not contradict His other traits. God is Knowing: God has complete knowledge of everything, and this implies that the way we learn things as human being cannot be the only mode of knowing, because our knowledge is not comparable with that of God. God is Creative: His creation is also unlike ours, because we create from material already available to us whereas God’s creativity is obviously free from every limitation. God is the Infinite Ego: God is not the name of a mere energy pervading through the Universe. Despite being Infinite, He has a personality. Much has been written about Iqbal’s concept of God, and much more can be written, but these are the five basic points in the Islamic conception of God as explained in the third lecture of The Reconstruction of Religious Thought in Islam (1930/34). Of course, the more urgent question is whether Iqbal suggests any particular method for realizing these aspects of God’s existence.